HomeHow Can We Provide Freshwater to Those in Need? This file shows images that highlight real-world freshwater issues, problem, solutions, and experiences. This file shows California snowpack over a 3-year period. This file has criteria and constraints for the problem of moving water a short distance. This file shows how to complete the My Water Footprint homework. This file shows the amount of water necessary to produce common food sources. This website allows students to select a graph, input data, label, and share their findings. This video can be found on Carolina Science Online at the link above. If you have purchased this module, you have an access code that should be activated as soon as possible. If you are having trouble finding your code or logging in, please contact cso_support@carolina.com. 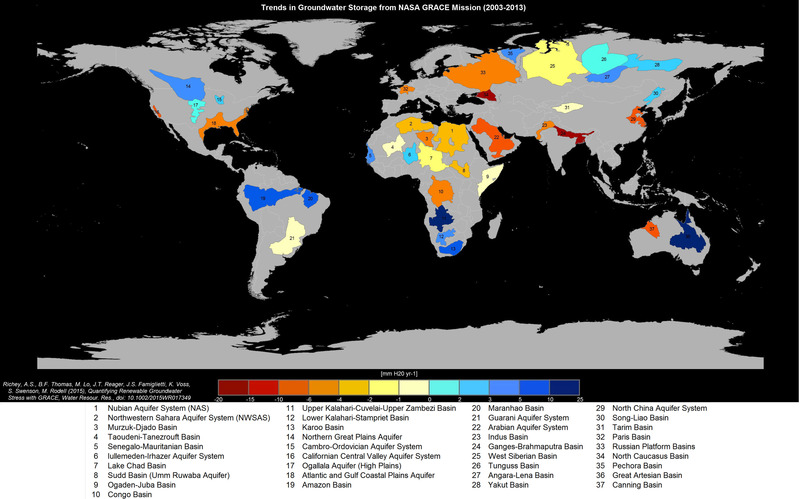 This website shows all of the Earth’s major groundwater reservoirs. This file shows examples of public service announcements. This file has criteria and constraints for the problem of moving water upward. This website contains profiles of scientists. This website helps students understand the community involvement with the Anacostia River and its watershed. What’s Inside a Water Filter? This video shows the inside of a water filter. This website contains an article that describes the problem of arsenic in the groundwater in Pakistan. Play the web version of Aquation or download the game from this website to a device. This file describes the basics of the Aquation game. This file describes how to transfer water and wealth in the Aquation game. Lesson 11: Unintended Consequences—Read All About It! This website gives the average annual water balances for the Aral Sea from 1926 to 1985. Lesson 12: Unintended Consequences—Write All About It! This website contains an interactive printing press to create a newspaper. This website contains a gallery of today’s front pages from newspapers across the country. This website provides a collection of maps, satellite images, and magazine articles about the Aral Sea. This website contains an article that describes the history of the Aral Sea. This file contains a model to answer question #2 in the summative written assessment. This file gives descriptions of stakeholders involved in the design challenge. This website describes how to prepare a water supply kit for an emergency.